Kutsuttu Palvelemaan: June 9, 2015 Another great week !! June 9, 2015 Another great week !! Well another great week! Unfortunately, we don't have the most investigators right now, but we are able to help lots of the families in the ward and do lots of service. That is really great and we are able to be outside lots. We help with yards, gardens, cleaning windows, etc. Finland is so beautiful and the weather is perfect right now, so who wouldn't want to be outside!? There is an older woman in our ward that lives alone and is probably in her late 80's. She was diagnosed with cancer in March. We had been visiting her at that time, and she called us on her birthday to tell us the news. It was the saddest thing ever and it broke our hearts. We have been able to go and see her quite frequently lately. My favorite thing has been to sing the hymns to her. She really loves that and it brings such a spirit into her home, and I just have such an appreciation for music because of it. I am grateful for her humility and her happiness despite all that she is feeling and dealing with right now. I love that old woman so much and it makes me so happy to go and visit her. On Sunday, there was a broadcast to all the Scandinavian countries from Scotland. It was Elder Holland. It was really great, and it was so nice to have a Sunday where we heard things in English. Elder Holland is great. 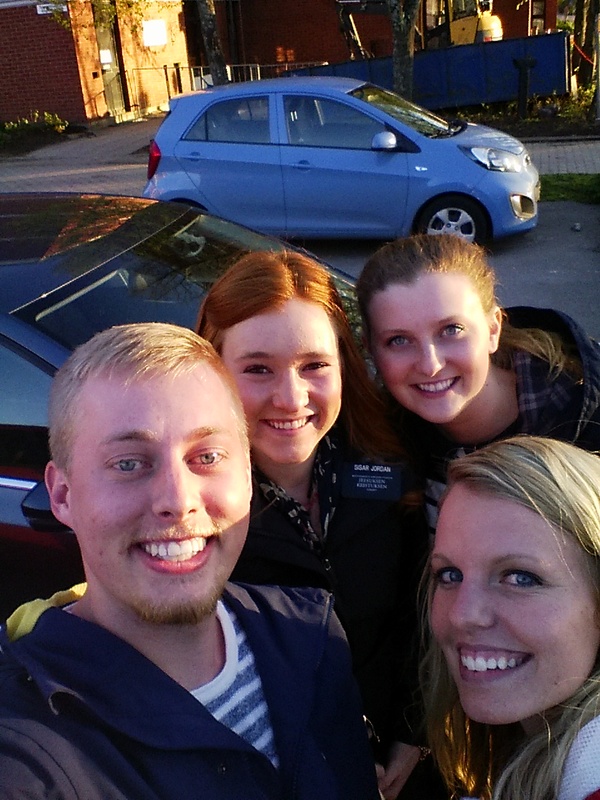 He talked a lot about the Book of Mormon and how important it is. It is the Foundation of everything in this church. Everything relies and depends upon the truthfulness of the Book of Mormon. I know that I have truly come to love the scriptures on my mission. They guide me each day and bring peace and happiness into my life. I encourage each of you to read them everyday. Do what Moroni instructs us and ponder the message that it contains and then Ask in the Name of Jesus Christ, if it is true. Even if you have already received that witness before, do it again. It will be a another assurance to you that it is true and bring a spirit that what you are reading is from God and that it can help you and guide you in your life. I love the Book of Mormon so much and I know that it is the Iron Rod to lead us to eternal life. The work here in Finland is slow unfortunately. People are not super accepting of the Gospel (at least in my neck of the woods), but we will find those who are ready and prepared. We have one investigator who will hopefully be back from Greece this week. He has been investigating since I first got here to Marjaniemi. I was the first along with Sister Seegmiller to start working with him. He has slowly been progressing and I see the spirit that he has felt and how much he has enjoyed church. I am hopeful of him and his desire to know more about this gospel. Keep praying for all of the missionaries here as well as around the world. We are so grateful for all of you and the support you show us! We couldn't do this without all of you and your love, advice, guidance, support, and prayers! Thank you! I know this Gospel is true. I am thankful to be a missionary. Remember God's love for each of his children. It never stops and it never changes. He loves you! He wants what is best for you! He is aware of you and hears your prayers! Heavenly Father and Jesus Christ want us to be happy and have provided a way for that to happen! So Choose to Be Happy! I love you all!!!!! Make yourself the Best week!!!! Doesn't get much prettier than this !!!! An early morning stroll !! 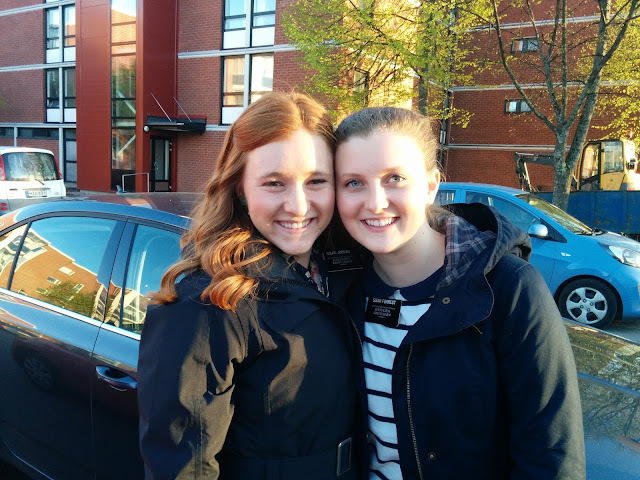 We got to see these amazing sisters while we were visiting East Helsinki! Your daughters are doing amazing work. We are very grateful for their service! We even got to go to a lesson with them. It was a blast! They are truly doing the lords work! Thank you for supporting them as they are serving the Lord. We know that they are being watched over and blessed, even in times of trials. Thank you again for letting your girls serve the wonderful people of Finland!